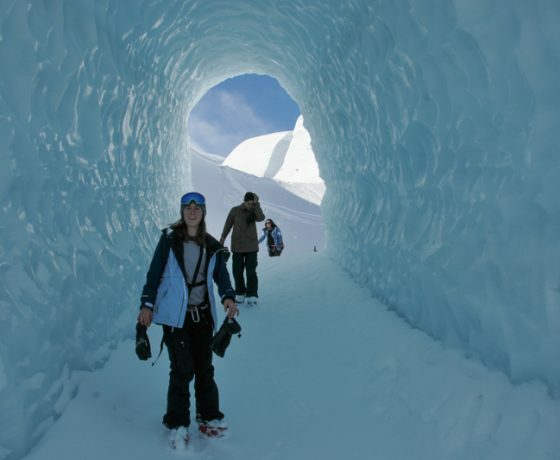 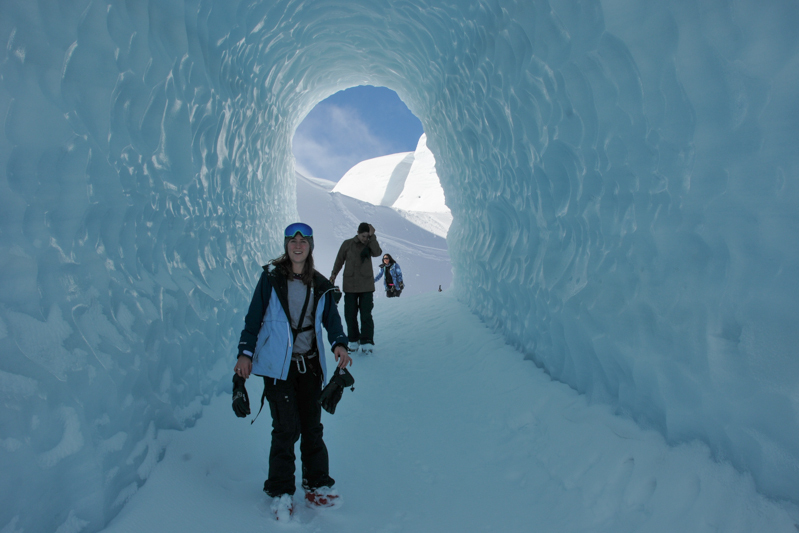 Explore New Zealand’s largest glacier and its azure ice caves, while you make turns down our longest ski runs, at the heart of the Southern Alps. 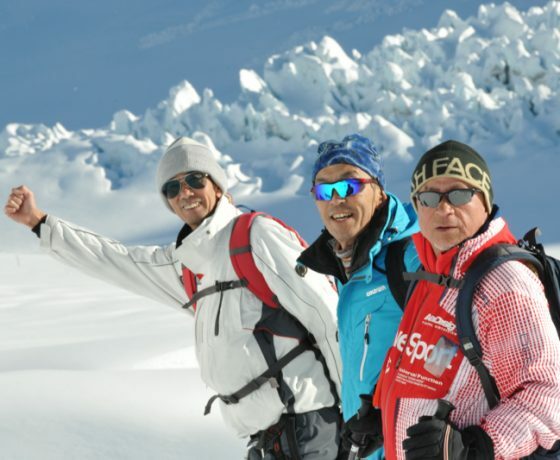 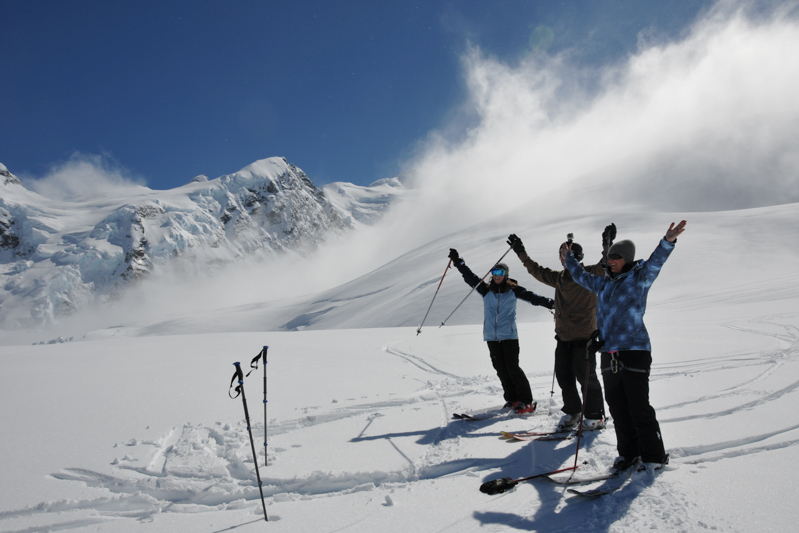 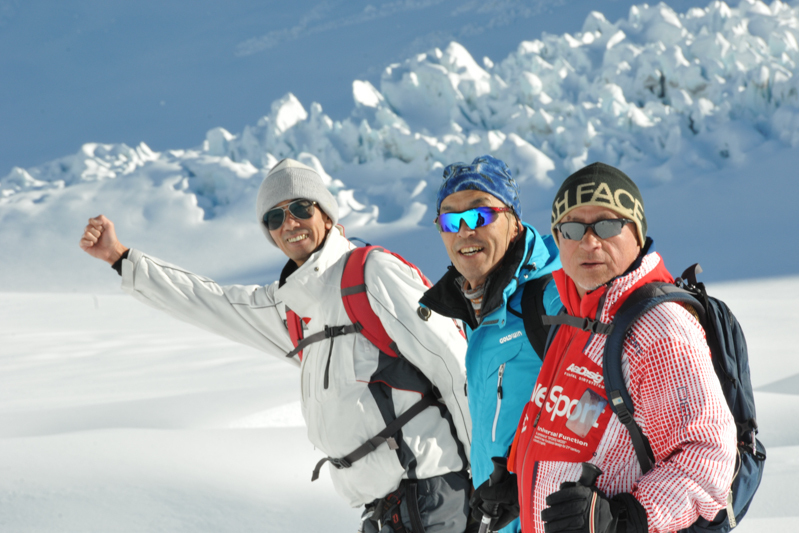 Professionally guided by Alpine Guides, skiing the Tasman Glacier is the classic Kiwi snow adventure. Extraordinary Skiing for ‘Ordinary’ Skiers Expertise is not required. 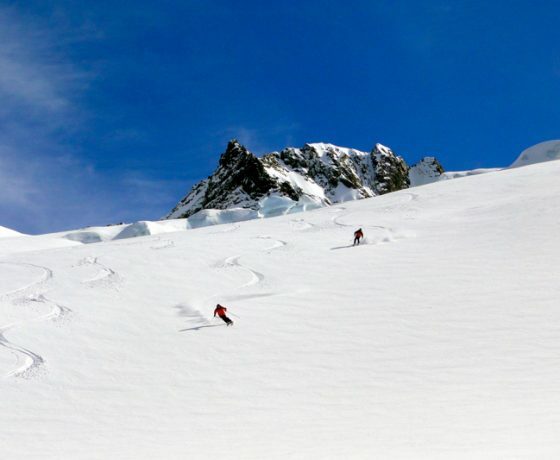 Skiers of ‘average’ ability can ski the Tasman Glacier. 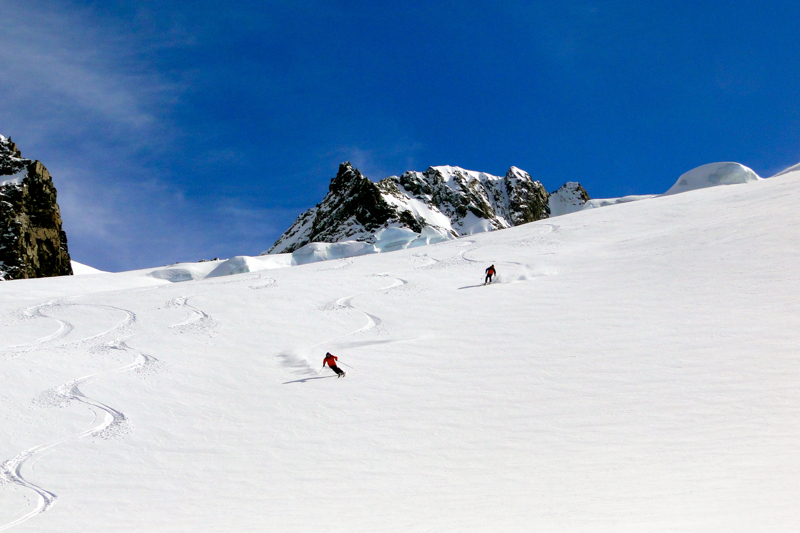 The runs are easy to moderate (blue graded), all on natural snow. 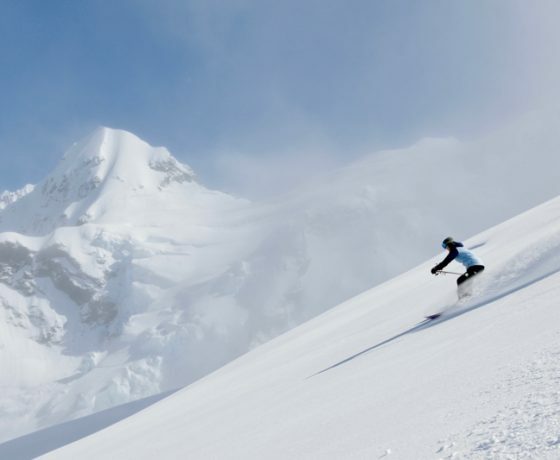 The pace is relaxed, with time to soak up the grandeur of New Zealand’s highest mountains. 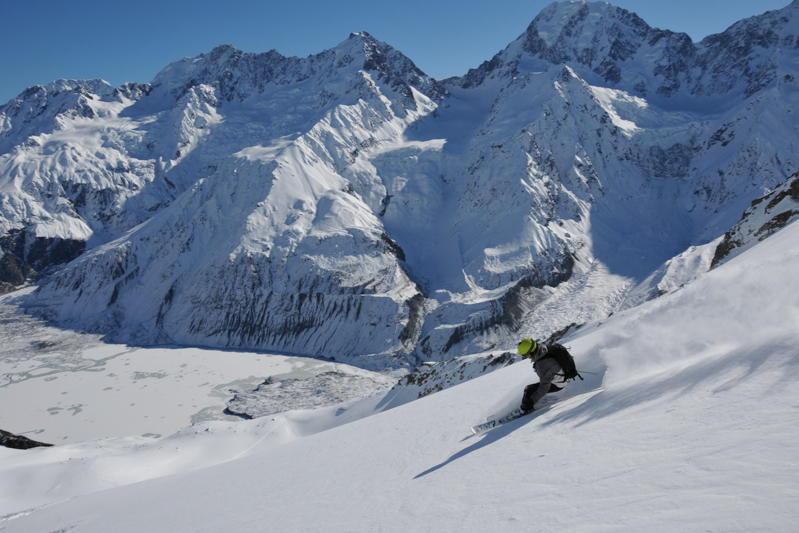 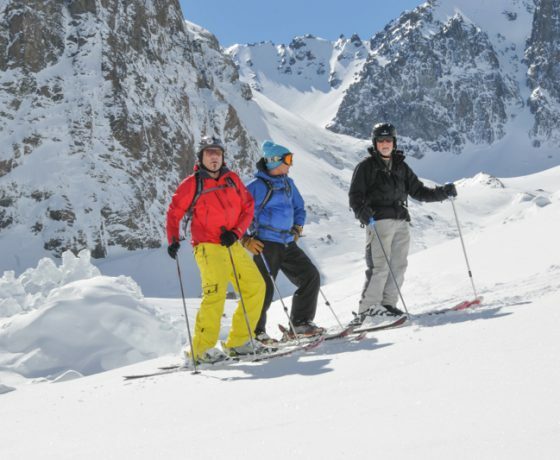 Mount Cook the highlight of your New Zealand ski holiday! 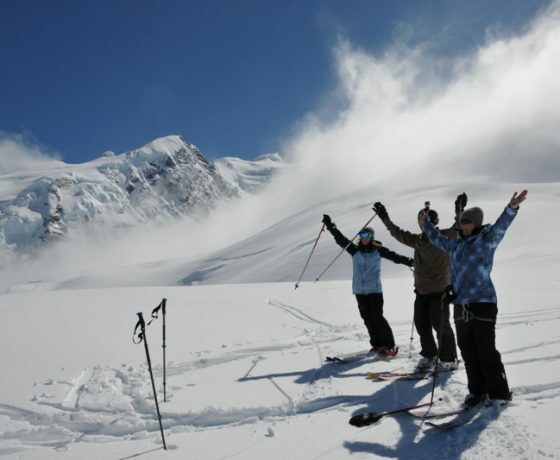 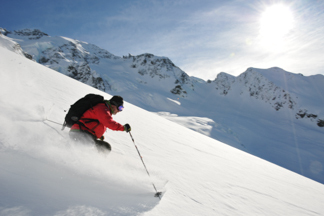 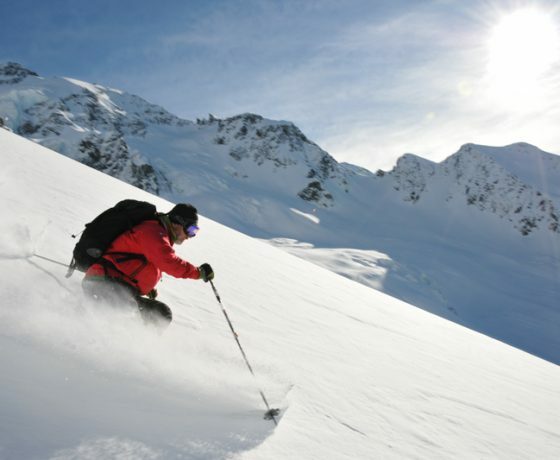 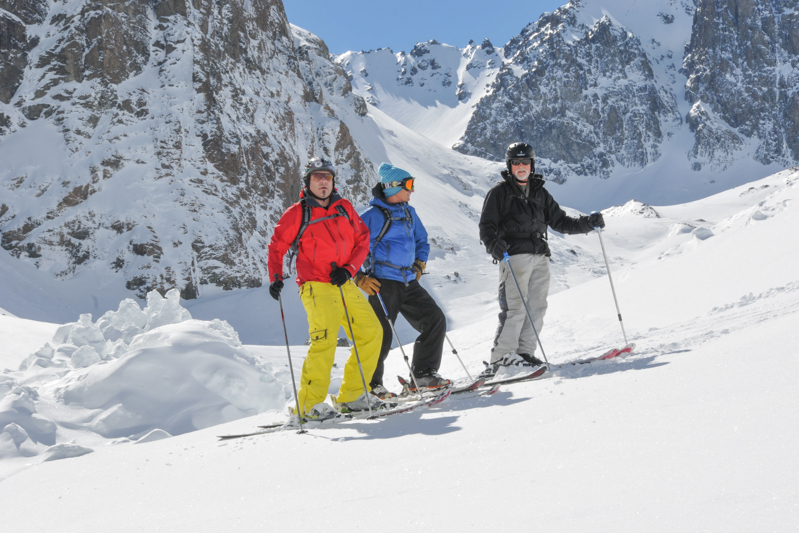 Ski The Tasman is a classic Kiwi skiing adventure operated by Alpine Guides (Aoraki) Ltd – New Zealand’s longest established mountain guiding company. 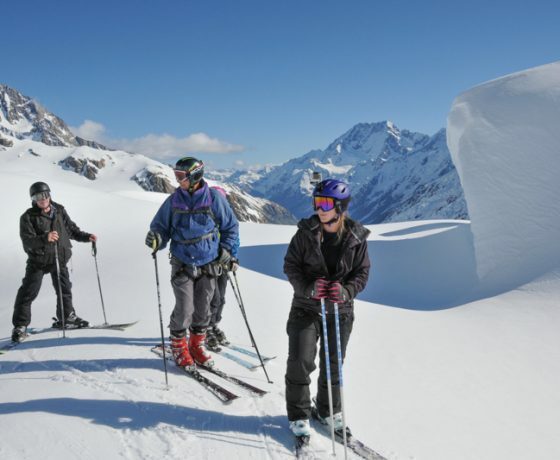 We have been based in Mount Cook since 1966. 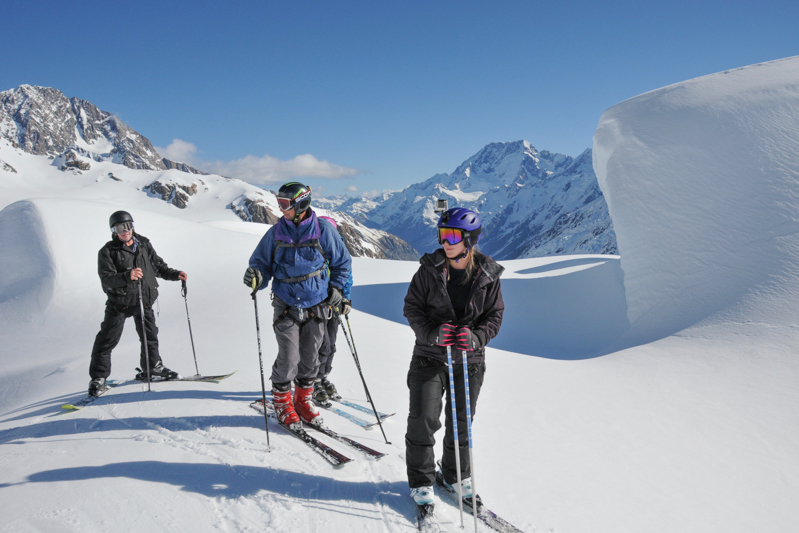 Every fine day, our expert qualified guides will take small groups of adventurous skiers on to the white vastness of the Tasman Glacier. 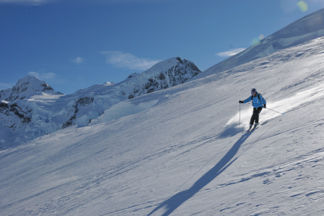 Landing at 2.500 metres for the first of 2 breathtaking ski runs – 8 to 10 kilometres long. 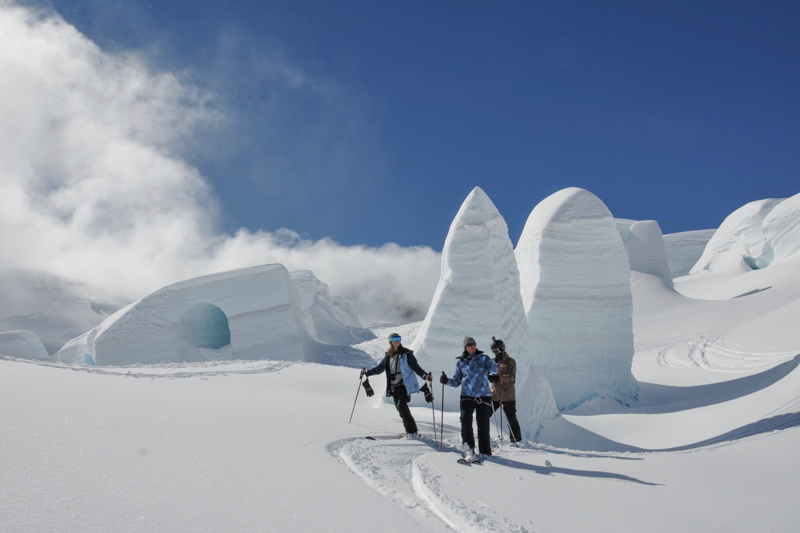 New Zealand’s longest glacier, at 27km, the Tasman offers an incredible back-country ski experience, for skiers of almost all ability levels. 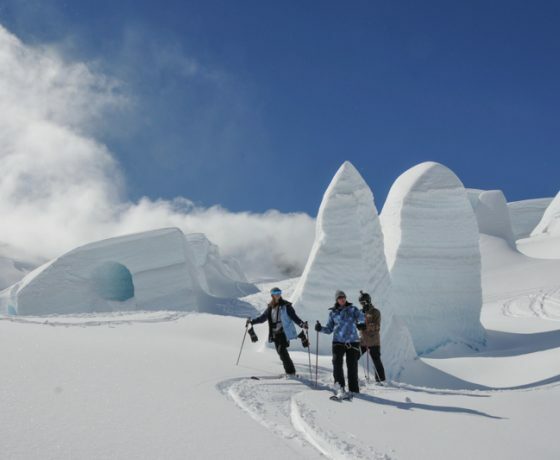 You will ski amongst glacial seracs, ice caves, and fantastic natural ice sculptures beneath the amazing backdrop of New Zealand’s highest peaks. 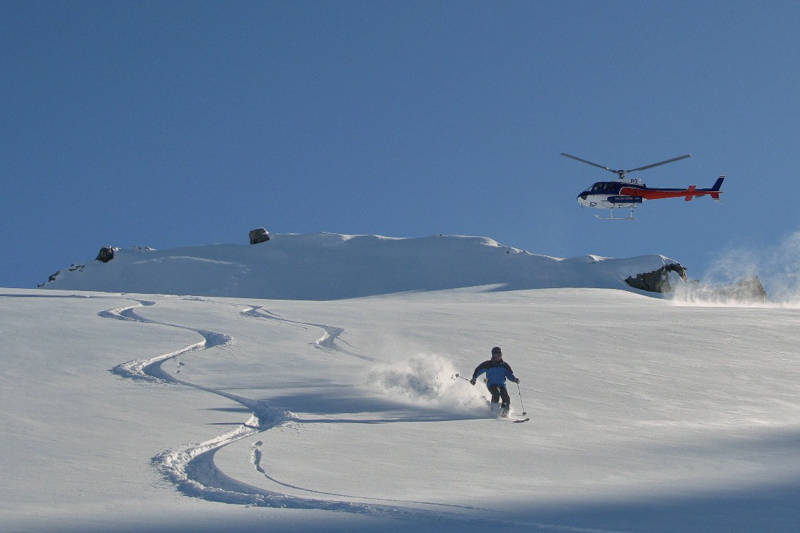 In 1974 together with Glentanner Station Alpine Guides pioneered helicopter skiing in New Zealand. 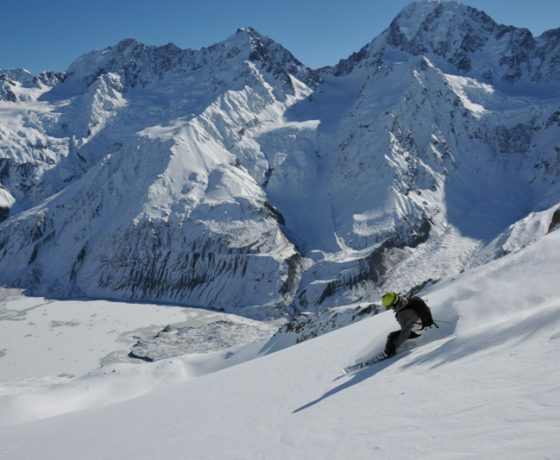 Mount Cook Heliski operates amongst the highest peaks in New Zealand; from Aoraki Mount Cook National Park, and eastwards across 6 mountain ranges to the Ben Ohaus. 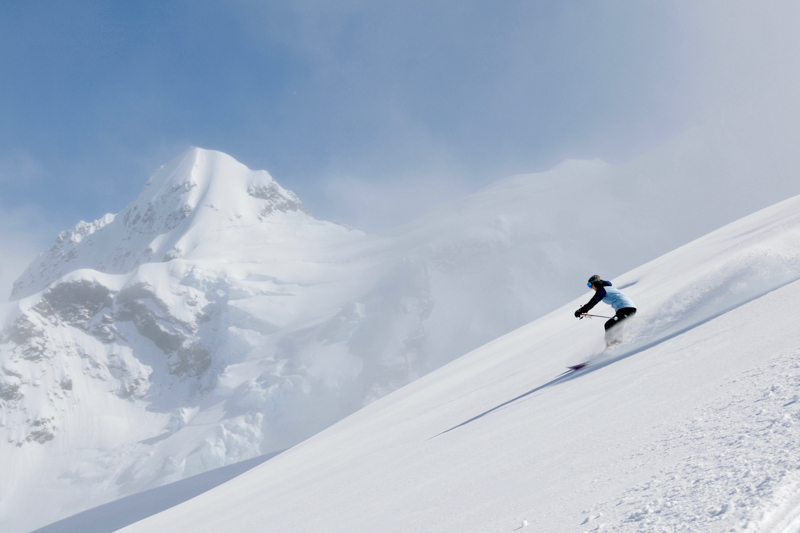 This is a wilderness of ancient glaciers, azure lakes, and endless runs – across 6 mountain ranges. 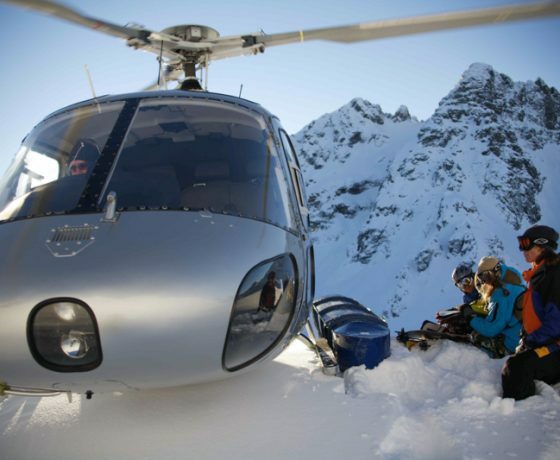 Mount Cook Heliski has lines to suit all levels of heli-ski ability – from our exclusive terrain in Aoraki Mount Cook National Park, to the shores of Lake Pukaki and the Ben Ohau Range. 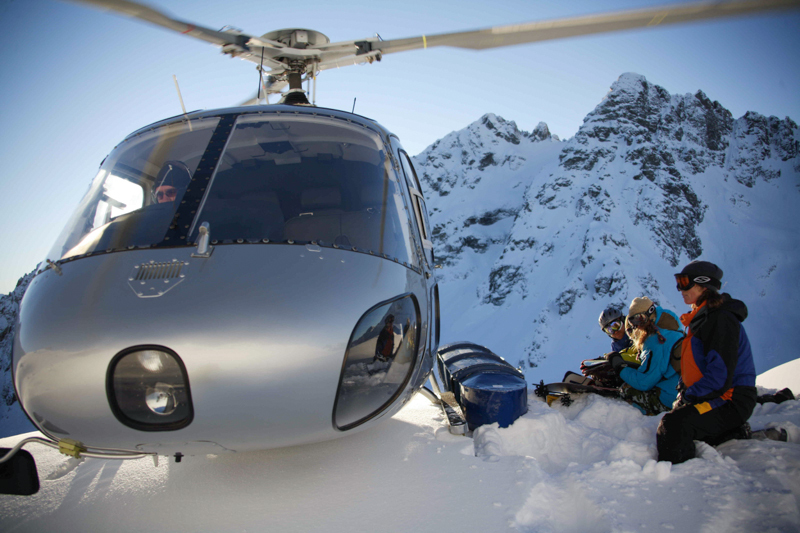 We fly with small groups and focus on safety, and great Kiwi service. 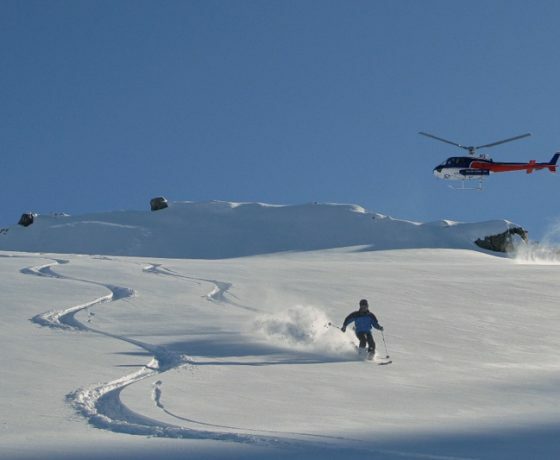 We don’t claim to be the biggest, just the best heliski operator in New Zealand – and an antidote to the crowded Queenstown scene.